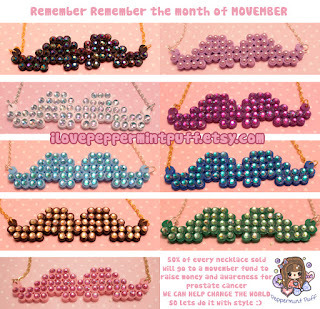 Peppermint Puff's Blog: Movember Necklaces for Sale! So I'm a little late posting this but better late then never! This year I really wanted to find a way to raise money for Movember but as I can't grow a moustache I decided to do it in a way I know best! Craftily! When I was 18 my dad died of secondary cancer. He was my hero and I was always his little princess. It was such a challenging time for me but knowing that I had 18 years with a dad who really loved and cared for me made it easier to cope with. I think it's so important to get involved in anything that can help improve care, treatment and the survival rate of serious illnesses. Remember to wear your necklace with pride and not just in November! These are Limited Edition and there are only 9 available. 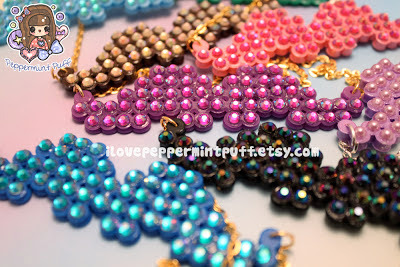 You can purchase the necklaces here! At £6.50 they're a steal and £3.25 off the profit will go straight to charity! 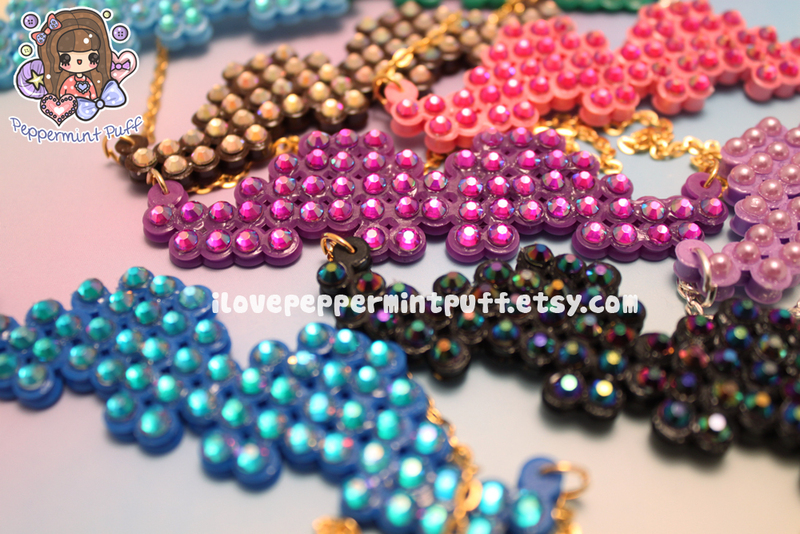 When your necklace is shipped I will let you know and send you confirmation of the donation! I ask you to please like and share this with your friends and family!